00:05:00 Makes 1 serving, 2 roll-ups. Makes 1 serving, 2 roll-ups. Have you got the brown-bag lunch blahs? This 5-minute sandwich wrap is the real deal: tuna and cheese, all meltingly good thanks to a quick spin in the microwave. Mix 1/4 cup drained and flaked canned tuna, 1/4 cup Cracker Barrel Shredded Mozza-Cheddar Cheese, 2 Tbsp. chopped celery and 1 Tbsp. each Miracle Whip Spread and sweet pickle relish. Spread evenly onto 2 (6-inch) flour tortillas; roll up. Place, seam-sides down, on microwaveable plate. Microwave on HIGH 20 sec. or until cheese begins to melt. These roll-ups also taste great when served cold. 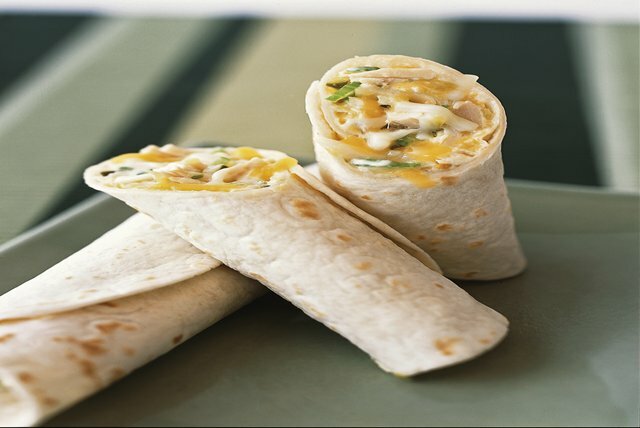 Assemble as directed, wrap tightly and refrigerate until ready to serve. Omit tortillas. Prepare tuna mixture as directed. Spread evenly onto 2 toasted English muffin halves. Serving Size Makes 1 serving, 2 roll-ups.